Arrive at OR Tambo Interantional Airport. Visit Sterkfontein Caves, Cradle of Mankind – Maropeng World Heritage Site. Drive North to Sun City. Day at leisure at Pilanesberg. Includes Game Drives and bush walks. Visit the famous Sun City Complex. Drive via Thabazimbi and the Waterberg Biosphere to Tzaneen. Discover the beautiful Tzaneen area. Visit the Big Boabab Tree. Cultural tour of a traditional village. Drive to the Kruger Park area in time for lunch at our Private Game Lodge. Overnight Private Game Lodge, Hoedspruit area. Full day to experience the wonderful game lodge. 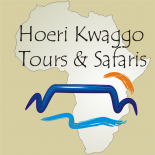 3 Days to travel through the Kruger National Park. Staying at some of the famous rest camps like Skukuza or Satara. Evening camp fire and relaxing. Picnic at Tshokwane or other picnic areas within the park. Overnight various Rest Camps, Kruger National Park. Depart the Kruger Park and travel the famous Panorama Route. Visit God’s Window, Blyde River Canyon, Burke’s Luck Potholes. Afternoon free to visit the shopping centre of Sandton and view the large bronze statue of Nelson Mandela in Mandela Square. Day at leisure for some shopping. Afternoon transfer to O R Tambo International Airport for your flight back.